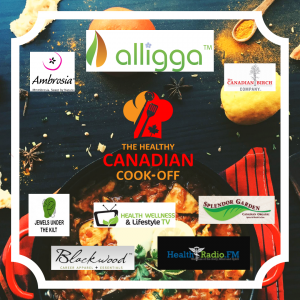 Who's going to win the Healthy Canadian Cook-Off? The ingredient sponsors provided the contestants with truly 'Canadian' ingredients sources and produced locally. 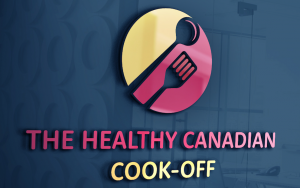 3 Contestants compete for the title of The Healthiest Canadian Chef in the inaugural taping of The Healthy Canadian Cook-Off TV show and competition. VANCOUVER, BRITISH COLUMBIA, CANADA, December 6, 2018 /EINPresswire.com/ -- 3 Contestants compete for the title of The Healthiest Canadian Chef in the inaugural taping of The Healthy Canadian Cook-Off. A firefighter, yoga instructor and fashion designer jump into the kitchen to show their knife skills and knowledge of healthy ingredients and cooking. Host Tammy-Lynn McNabb of Health Wellness & Lifestyle TV works with three celebrity judges to determine who the winner of this exciting (and delicious) competition will be. 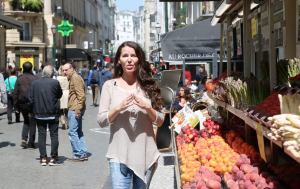 Meet the Contestants - Cecile Benac is a fashion designer, mother, grandmother and avid amateur cook. Benac and her husband came to Canada 30 years ago, leaving behind their native Peru for a safer future for their children. With roots in Peru and France, Cecile relies on skills she learned from her mother and mother-in-law to create comfort food using Canadian ingredients. Zoe Green is a yoga and pilates instructor with a flair for adventure. This always on the go, self-employed instructor has clients all over western Canada who look for guidance in both their physical and mental wellness. Ranked as one of Vancouver’s Top 10 Yoga Teachers in 2017, students have described Zoe as “that instructor that cuts through the noise; a leader of the body, and also a leader of the mind and soul. Ralph Ogilvie believes that age is only a state of mind and proves it in many things that he does. Deciding at the age of 40 to follow his dream to be a firefighter, Ogilvie joined the ranks of serving his community as a full-time firefighter with one of Maple Ridge, British Columbia's detachments. Like being a firefighter doesn't keep him busy enough, Ogilvie also runs a mid-size landscaping company that serves developments in his area. So who's going to win Season 1 of The Healthy Canadian Cook-Off? Watch the teaser interviews here to find out more about each contestant and learn more about this exciting opportunity from the show's creator, Tammy-Lynn McNabb.